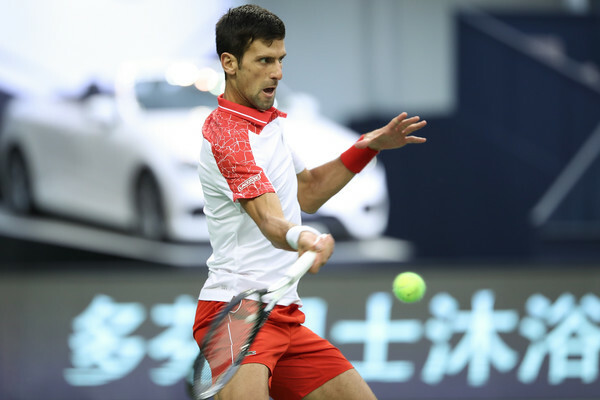 It took Novak Djokovic just an hour to ease past world number five Alexander Zverev in the semifinals of the Shanghai Rolex Masters, strolling past the German with a straightforward 6-2, 6-1 scoreline. 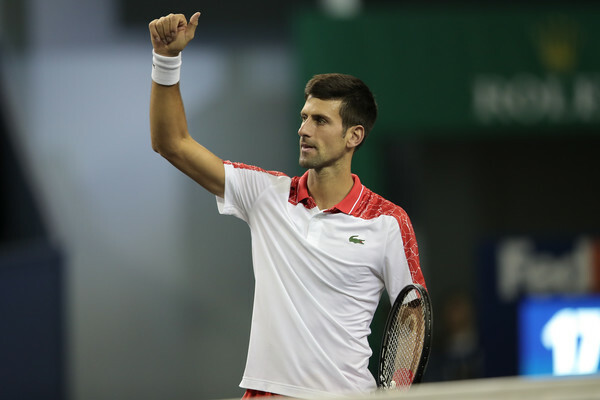 In the 1000th match of his career, Novak Djokovic put up an impressive display to completely outclass world number five Alexander Zverev in the semifinals of the Shanghai Rolex Masters. With this stunning win, Djokovic has rattled off 38 victories in his last 42 matches and secures himself the world number two position on next Monday as he edges closer than ever to the top spot, currently held by Rafael Nadal. Playing with some world-class controlled aggression, Djokovic proved why he is known as the best returner of all time, hitting just six winners but also misfiring on just nine occasions. Whereas, Zverev blasted just seven winners but paid a heavy price for his lack of momentum — 24 unforced errors, which ultimately proved costly in the 60-minute encounter. Djokovic will now face Borna Coric, a player whom he had never lost to previously, in the final tomorrow. Interestingly enough, the Serbian will be just 215 points away from grabbing the top spot if he wins the title, a piece of news no one would believe back in March. It was a terrific opening service game from Djokovic as Zverev seemed to have made the wrong decision to start the match returning. That decision backfired on him, with the Serbian riding high on his confidence and closing out the first game with an unreturnable serve. Nonetheless, Zverev managed to follow suit and got off to a commanding start — throwing in a 210 km/h ace on game point to get onto the scoreboard. Zverev was dominating the baseline early on, and several loose forehands by Djokovic saw the German earning a 0-30 lead in the third game. However, that proved to be the biggest chance he will ever earn on the return throughout the entire match. Djokovic dug himself out of trouble and served his way to a 2-1 lead, but everything was going Zverev’s way on his serves and this was shaping to be a popcorn contest. Unexpectedly, it was the youngster who was the first to let loose. Four consecutive unforced errors caused him to completely lose the plot, and Djokovic took full advantage to surge towards a commanding 5-2 lead within a blink of an eye. Losing just six points on serve, the Serbian world number three rattled off 16 of the last 21 points to grab the opening set 6-2 after a quick 31 minutes of play. After a quick exchange of service holds to begin the second set with, it was Zverev who lost his cool once again. He failed to gain the rhythm and was serving at a low first-serve percentage which allowed Djokovic to find openings on the return. However, even when he sent the first serves in, it was still a disastrous display as he produced yet another slew of unforced errors to get broken first. Djokovic then recovered from a 15-30 deficit to consolidate the break, opening up a formidable 6-2, 4-1 lead and looked on course for the win. Zverev looked clueless out on the court, and soon faltered away as Djokovic broke serve for the fourth time in the match. 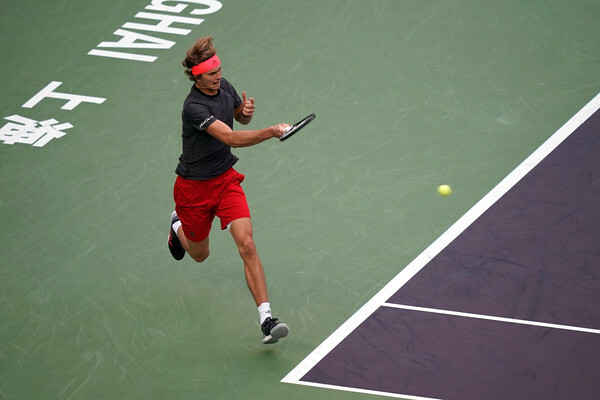 Serving out the match, the Serbian converted his fourth match point to finally claim the win after just one hour of play, booking his place in the final and maintaining his top-notch record in China.